ALL IN PRICE: $3001 USD per person based on double occupancy for the first two full-fare guests in suite, and includes port charges of $175 USD. Fares are cruise only, apply to new bookings only in categories S1 through S5 on select sailings only, are per person in U.S. dollars based on double occupancy for first two full-fare guests in suite, and includes port charges of $175. 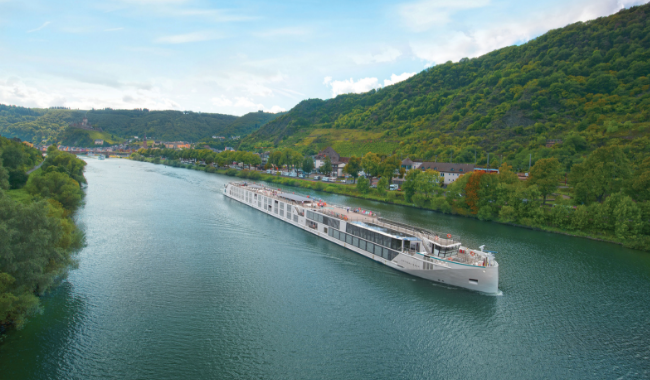 Savings apply to new bookings only made between March 18, 2019 and April 30, 2019 on select Crystal River Cruises sailings, is capacity controlled, and may not be combinable with other offers. 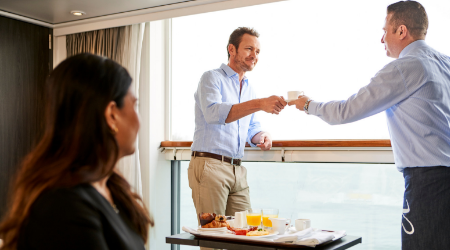 Fares may not be combinable with other promotions (including Crystal Society Savings), are subject to availability, and may be withdrawn or changed at any time without notice at the discretion of Crystal Cruises. Other restrictions apply. Ask for details. Optional Personal Select Air Program and solo fares available upon request. 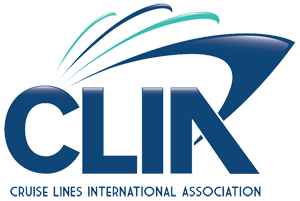 All itineraries, fares, programs and policies are subject to change without notice at the discretion of Crystal Cruises. Crystal reserves the right to correct errors or omissions. For complete terms & conditions visit crystalrivercruises.com ©Crystal Cruises LLC. Ship’s registry: Malta. 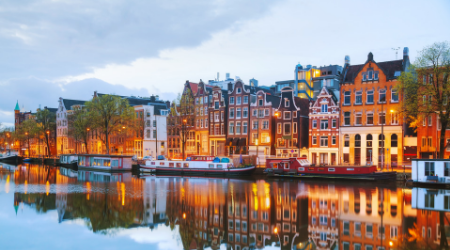 Everyone has an image of Amsterdam. For some, it’s small boats gliding on the canals and locals two-wheeling on bikes to work and, as frequently, to meet friends for drinks. For others, it’s gabled buildings leaning, seemingly precariously, over cobbled streets and cozy taverns illuminated by candles. Still others imagine tulips in bloom and the paintings Vermeer, Van Gogh and Rembrandt. Each vision is even more beguiling when experienced in person. Germany’s most visited landmark – the UNESCO-listed Cologne Cathedral – dominates the skyline here, its magnificent Gothic twin-spires reaching toward the heavens. Peel your eyes away from the Kölner Dom, its local name, to see the space needle-like Rhine Tower, ancient Roman ruins, a modern museum, cozy beerhalls and the arches of the Hohenzollern Bridge, reconstructed after the war. Located where the Rhine and Moselle rivers and three mountain ranges meet, Koblenz’ scenery is unmatched. Add to that the city’s 2,000-year-old history, hilltop fortress and squares lined by classic Germanic architecture and you have a place ready made for photos. 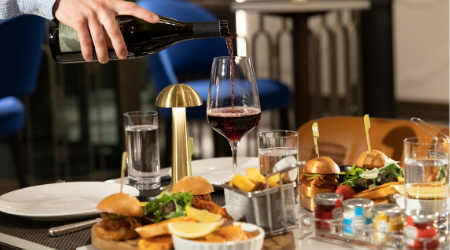 Ambling along the town’s narrow lanes and river promenade, you might encounter medieval churches, flower-filled parks, sidewalk cafes and perhaps a weinstube, or wine tavern, ideal for sipping Riesling and drinking in the atmosphere. If Rüdesheim’s scenic location on the UNESCO-designated Rhine Gorge doesn’t sweep you off your feet, then the town’s medieval Old Town with its half-timbered buildings and narrow lanes, especially the Drosselgasse overflowing with charming shops and taverns, surely will. The region’s renowned Rieslings, produced here for centuries from vineyards dating to Roman times, promise to delight, too. The name Benz is synonymous with automotive innovation, and here is where this legacy began. Also born here was the “man-powered running machine” (or bicycle), the Lanz Bulldog tractor and first rocket-powered aircraft, firmly establishing the city as the place for innovation and industry. The university town is also alive with hubs of diverse food, drink and shopping, as well as a thriving art and musical culture. The seat of the European Parliament, Strasbourg is one of the world’s most photogenic towns. It boasts a breathtaking Gothic cathedral and a remarkable charm that oozes from virtually every cozy corner of Grande Île, or “Large Island,” the first city center to be named a UNESCO World Heritage Site. Interested in Save up to $1000 per suite + Best Available Suite with Crystal Cruises?